Hey gang, Valkor here. While PAX East was pretty much a bust – not that the show was bad, but I ended up leaving a day later than I wanted to, I still had a great time during my brief stint and I walked away with a few choice bits. 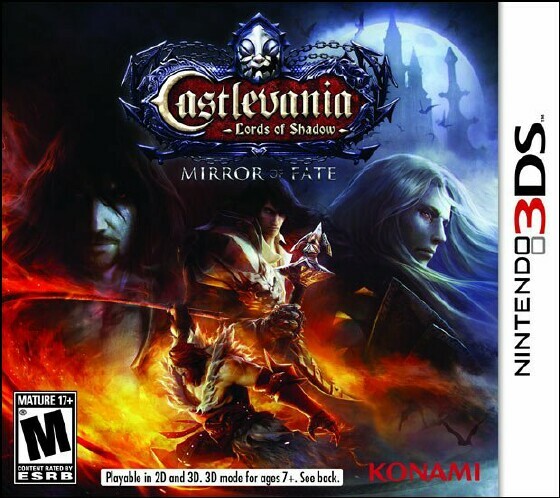 And during my downtime, I got the chance to catch up with some handheld action, namely one 3DS title - Castlevania Lords of Shadows: Mirror of Fate. The game is not only a 3DS exclusive but it's also brings the rebooted series back to its 2D roots. 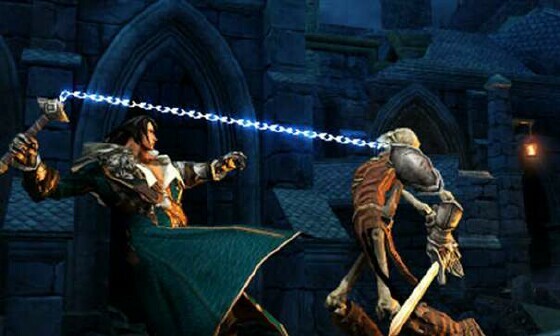 In Mirror of Fate you'll take control of Simon Belmont, Trevor Belmont, and Alucard 25 years after the events in Lords of Shadow. I should point out that for a brief stint you'll play as Gabriel Belmont just before he faces his own downward spiral in LoS. 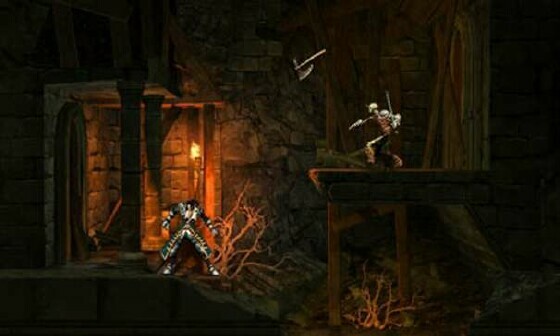 But the main three must face what fate has in store for them as they enter the house of Dracula, to finally put a stop to the dark lord an extract their revenge; Simon and Alucard's quest runs parallel and you'll play from both their perspectives, while Trevor and Gabriel's journey takes place in the past but in different time periods. Confusing? Don't be, because the story plays out rather seamlessly. Although you don't get the hefty cinematics that you'd find in a console version, you still get a solid story that's quite easy to follow along. It's even easier if you're already familiar with the franchise. 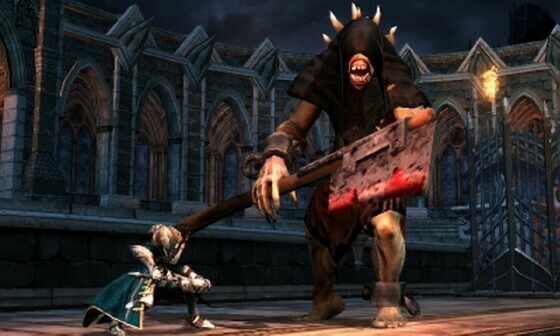 Gameplay is mainly straight up action with RPG elements, Quick Time events (QTE) and puzzle solving mixed in. 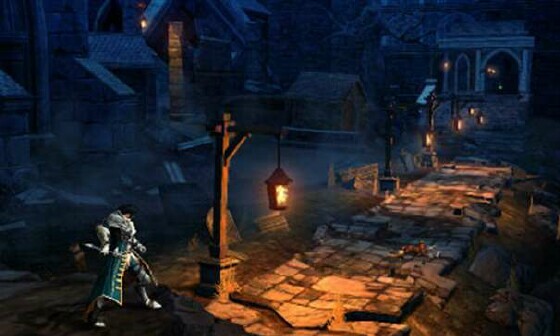 And trekking through the castle is similar to games such as Symphony of the Knight or Aria of Sorrows, where you'll venture almost freely into different areas of the castle to discover new weapons, new items that can aide in your quest, secret areas, and fight a variety of enemies. I say almost because the game is broken down into three acts and once you complete an act you can't go back to find anything you may have left behind. The RPG element kicks in as you'll earn experience after defeating monsters or finding scrolls from fallen knights who have long since entered the castle… but sadly never made it out. Emphasis in this title is all about exploration – inside and out, though there are quite a few puzzles that need to be solved before you can make any serious progress. And you can keep track of your progression on the lower screen, which also shows you where your objectives are as well as question marks that show special or quest related items. 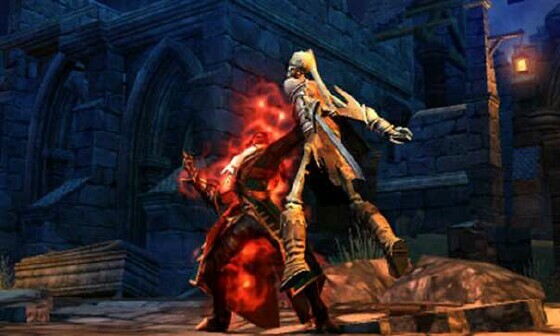 Each character will make use of a whip or the cross whip and most of their moves are cut and paste, however there are some moves that are different amongst the three. I say three because Gabriel's journey is so brief that he doesn't even get a life bar, so his actions doesn't deserve much of a mention. However his quest is equally as important as the others to complete the story. 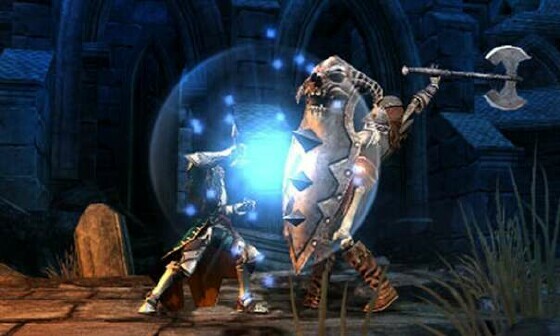 Each character can weaken an enemy, turning them white at which point they can perform a kill move, but what separates them from there is the animation. 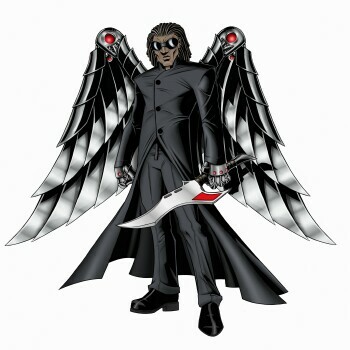 But what really separates the group are their abilities and secondary weapons; For instance Simon has a spirit that protects him from damage, Trevor can use light/dark powers, and Alucard has a blend of both their abilities as well as a few of his own moves. You can access the characters special abilities on the lower screen, at each of the corners and you can either touch a symbol or use the D-pad to access them. Also on the lower screen , you can access their complete list of moves as well as obtain inormation on your weapons and special items. I will admit, I'm a Castlevania nut and I've played most of the titles in all of its variations from the NES, SNES, Gameboy, Gameboy Advance, and Playstation. When I learned that the series would be geting reboot, I felt uneasy about it, but my fears were soon put to rest when it was announce Kojima Productions was involved and in the end the game did not disappoint. Why did I mention all this? Well you'll find out (in the Bad section) as we head into the TOV Breakdown. As a direct sequel to LoS, I have to say Mercurysteam and Konami have put together one fine game. It's not as big as I'd like it to be, however there's enough here to keep anyone well occupied and entertained. The levels for the most part are cleverly designed, loads of fun to tackle, and really nice to look at. What helps the visuals is the 3D, which adds some depth to the 2D environment; it's eyepopping and quite gorgeous. Way better than I would have imagined. Controls are very responsive and while you're kinda limited in what combos you can pull off, actually performing them is a piece of cake. The animation on the main characters as well as the enemies are great, very fluid and very smooth animation (though a bit sluggish, but I won't knock off points for that).But what impressed me the most was the music, which is very big, very cinematic and constantly plays even when the character dies, so there are no breaks in the flow; I'd still kill for a soundtrack of the likes of Symphony, but what's in this game will suffice. In the end, I have to say Mirror of Fate was a much better experience than I had anticipated and I greatly enjoyed my time with the game. Strike one: The RPG elements don't really serve a purpose save for unlocking combos as you level up; I think other methods could have been chosen or simply have the moves readily available at the jump. Strike Two: Actually playing out Gabriel's story was a complete waste; his story could have been told as a cinematic, maybe with some QTE especially during the big boss fight. Strike three: Not enough items. I mean you get a decent amount to play with, but it would have been nice to get an extra item or two. Sure you get the axe and holy water, but LoS had the dagger and that should have made its way into simon's repetoire. Finally, and this is a doozy for me. As I mentioned above, I have a deep attachment to the Castlevania franchise; hell I think I'm one of few that actually enjoyed Simon's Quest on the NES. So my attachment to these characters runs pretty deep. With that in mind I didn't care to see the direction of where the Belmont bloodline was headed, as if the family is now cursed because of what Gabriel has become. And by that I mean how Trevor and Alucard are treated as one and the same, when initially they were two seperate characters; to me the whole thing feels cheap. I didn't think the game would go that way, but when you start to play as Trevor and you realize that the path he follows is the same as his fathers'… ugh! I was so not happy with the end result. But I think that's an issue I need to let go as the series is in a reboot, but its difficult to accept that kind of change. 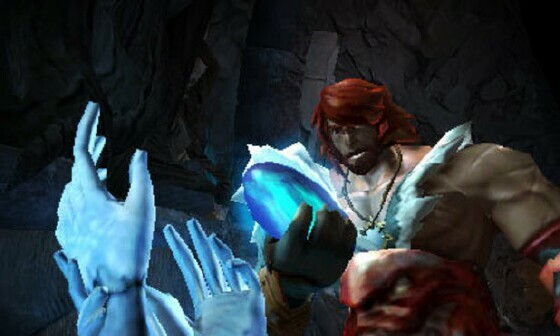 But no matter what, I will admit that I was really impressed with Castlevania Lords of Shadow – Mirror of Fate. While there are a few elements I didn't like about the game, in the end it is a work of art that's a lot fun and very entertaining. 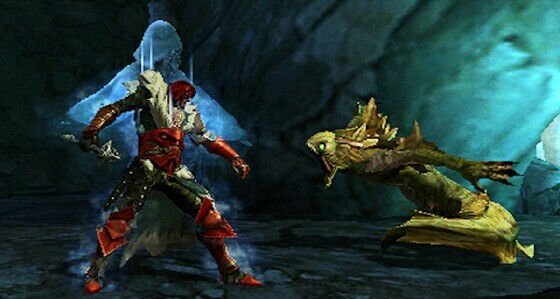 So out of TOV 5 stars, I'm giving Mirror of Fate a 4 and I'm so looking forward to Lords of Shadow 2.